Seoul South Korea hotels are the most popular destinations among travelers to this K-pop, soap opera, and high-tech Asian country. Most travelers head first to Seoul and then move around and then to other travel destinations. From Seoul, you can avail all transports and guides for your dream and memorable vacation. So, if you are here to look for your accommodation in this capital city, you found it. This page will serve as your simple guide to the hotels in Seoul. 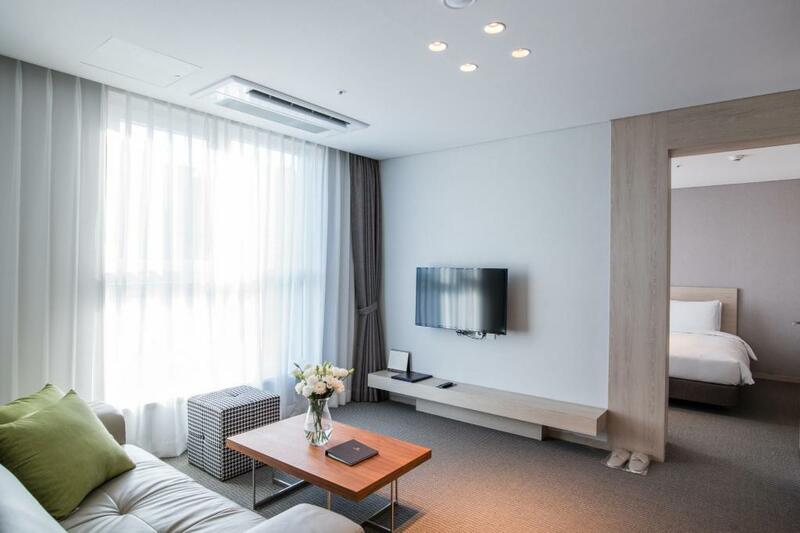 You can also see links to useful pages about hotels in other Korean provinces, such as Busan, Daegu, Incheon, Gwangju, Jeju Island, Ulsan, Daejeon, and more travel destinations. Where & Which Seoul South Korea Hotels? If you are planning to ‘do what’ in Seoul, make sure that you book your hotel in Seoul close to your planned activities. Otherwise, you will be spending time taking the bus, subway or taxi to reach your destination. Don’t worry about your accommodation because the hotels in South Korea are ubiquitous. You can easily find them where there are great sights, historic sites, K-pop groups, cheap electronic shops, or best Korean restaurants. The best way to narrow down the location of your accommodation is by locating its assigned ‘district’ or ‘gu’ (in Korean). Gangnam is the most affluent among all districts in Seoul area. Although not all, you can find the major business companies – both local and international – in Gangnam. You will see the super-rich and famous living there. It is in Gangnam where you can get the best medical treatments. The district is fast becoming the hub among foreign visitors who come to get plastic surgeries than locals. Just make sure you researched well the establishment (by reading the reviews) before finally deciding to get one or two of those expensive operations. Celebrities drive their fancy cars. Moreover, everyone put on their best clothes and wear glittering accessories and make-ups. The famous singer Psy especially composed his record-breaking song about Gangnam people’s lifestyle – Oppa Gangnam Style. However, if you are a budget traveler, you don’t need to buy the expensive products. That’s because cheaper food and drinks are also available at 24-hour shops and as street foods. 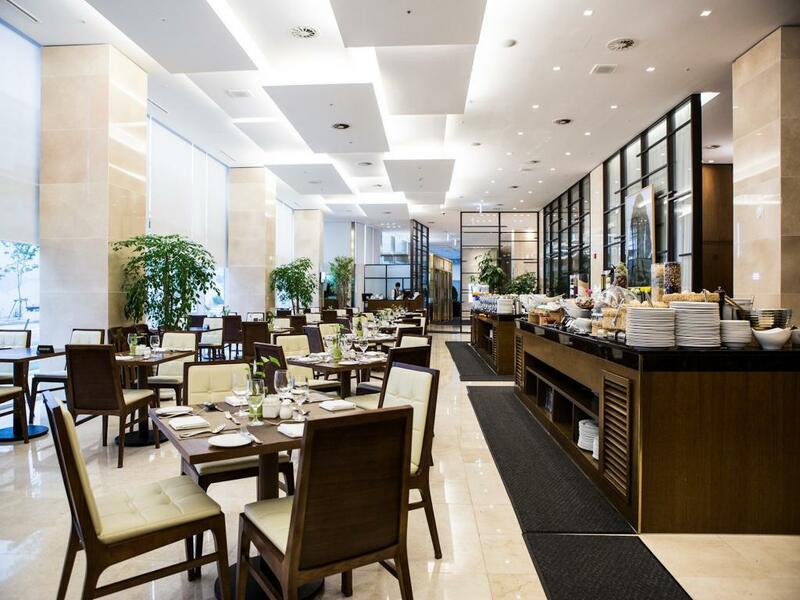 See the nearest at subway stations Gangnam hotels' photos, discounted offers, coupons, and here. Apgujeong in Gangnam is where high-end shoppers go to purchase their luxury brands. 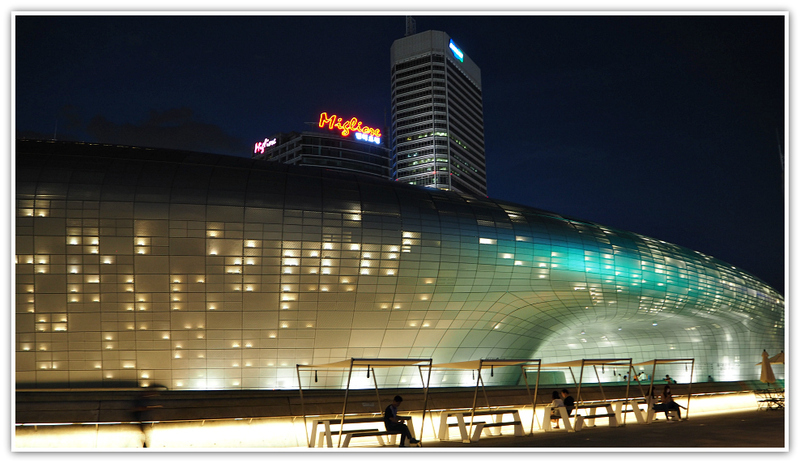 If you want to go, visit the glamorous Galleria store, Hyundai Department Store, and other shops with branded products. Window-shopping works for me! Cheongdam Dong is another place in Gangnam where you can stroll around and experience the atmosphere of the famous K-pop culture in Korea. Lucky for you if you see them signing autographs for their promotional leaflets. It is where the large entertainment companies are based. Such companies include the JYP Entertainment, Cube Entertainment, J. Tune Entertainment, and S.M. Entertainment. For sure, smaller and the not-yet-so-famous companies are trying to establish their names there. In Gangnam, you will see business by day and party by night. Best restaurants and coffee shops are everywhere. Its nightclubs and pubs are packed. International songs can be requested if you want to in many clubs. COEX was one of my favorite hang-outs in the past. You can bring your family and visit the Aquarium in COEX, COEX Mall and everything you see, eat or shop inside this huge underground shopping mall. Also, if you want to check in your luggage in advance, you can visit the Airport Terminal (CALT). Not all airlines are included, so please check your airline here. Most of all, you can take your airport bus limousine from here for Incheon Airport. Hassle free! If you decide to stay close to the area, then reserve your hotel room there. If it helps, you can search your hotel below. Still belonging to Gangnam Greater Area, at Songpa District (or Songpa-gu), you can stay at any hotels you like. It is where most family travelers stay due to the presence of Lotte World – a gigantic supermall. You can buy anything, watch entertainments, eat any food you like, or learn ice-skating (Yes, I first learned it here!). In Songpa-gu, you can see the famous Han River (considered the source of the economic miracle of South Korea). Buses, taxis, and subways are very accessible and convenient for you to take from here to other areas in Seoul (and outside). You will enjoy shopping, walking in the green parks, and great for your family, are the amusement parks. Korea’s Disney World (Lotte World) in Jamsil area is worth-seeing even if you don’t have kids. Lotte Department Store is a gigantic mall located just beside Lotte World. Lotte World Tower is the newest and the tallest structure in the whole of South Korea. It has 123 storeys. You can spend a whole day or longer to experience and enjoy its state-of-the-art games and entertainment facilities. The Olympic Park is located at Mongchontoseong Station near the World Peace Gate. It is great for strolling and walking especially during the spring season or warmer months. The park is also ideal for picnics, playing around with kids or spending quality time with your partner. Around the Peace Gate, you can do roller-skating, skateboarding, cycling or simply jogging and brisk walking. Seocho is another district belonging to Gangnam Greater Area. It is famous for company offices and other business establishments. For that reason, not many tourists come, but still, you can find more reasonable and cheaper accommodation here. But what a minute! If you love the arts, you may explore the Seoul Arts Center. You can bring your family to see the modern, classical, and all top-notch work-of-arts they housed. You can also find an opera house where you can watch any performance available. Check the available ones here: http://www.sacticket.co.kr/. You ‘must’ visit the Yeouido area because it is also an attractive area. You will see the highest number of foreigners here especially during the spring season when the cherry blossoms trees are blooming with whitish flowers. This happens during the Cherry Blossom Festival (first and the second week of April). It is where you can find many banking and finance establishments. Of course, you can enjoy the restaurants, fast food and cafés, and other entertainment resources. Yeouido is also dubbed as Seoul’s Manhattan by many as it is dotted with skyscrapers. Moreover, it has Korea’s Exchange Center, Korea Broadcasting System, LG Headquarters, the National Assembly Building, and more central offices and structures. Yeouido has green parks for all ages. Above all, you will enjoy the famous Han River where you can do leisurely walks, hiking, picnics, flying kites, cycling, skating, among others. It is where you can, if lucky, witness firecrackers competition and LED light shows. In Yeouido, it is worth visiting the famous 63 Building located at the Yeouido Park area. The building has an excellent movie house, an art gallery, café, restaurants, and more. As it is facing the Han River, you will have the most exceptional view of the river. 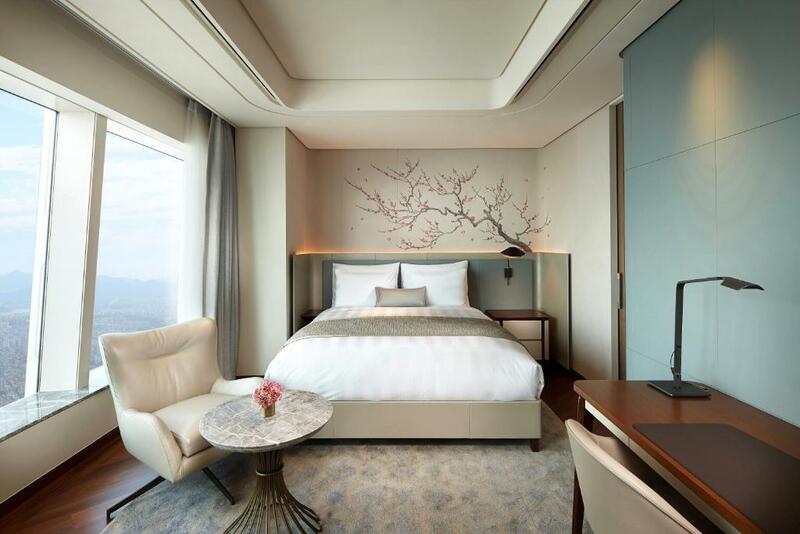 When you are on the top floor, you have the astonishing panorama of Seoul across the river. Central Seoul is undoubtedly the “heart of Seoul.” And the “soul of Seoul”. That is because it is where you can find almost everything. You can stay, play, shop, eat, explore this metropolis. street shops, cafés, fast food shops – Insadong, etc. 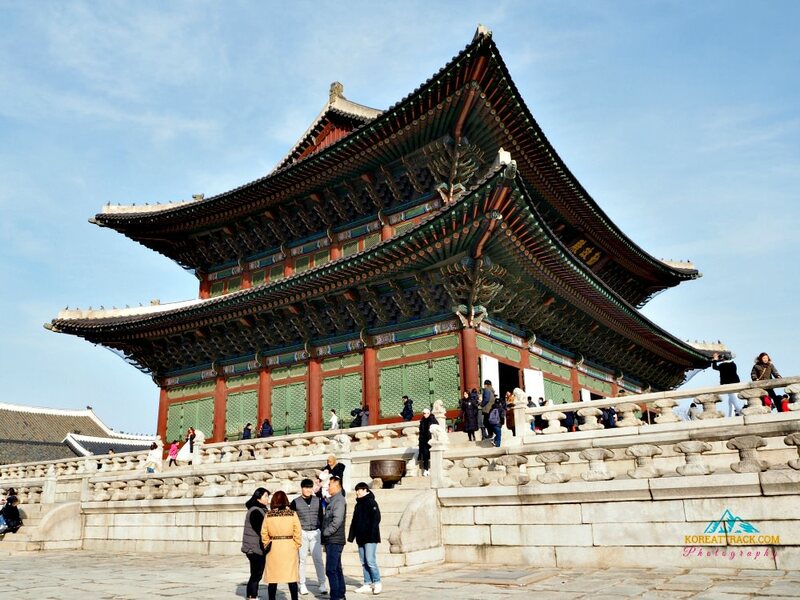 In other words, in central Seoul, you can experience the present and the past cultures. They are represented by the century-old palaces on the one hand, and the glaring neon lights by night with modern structures (such as Dongdaemun Design Plaza) on the other hand. Central Seoul is primarily represented by Jongno-gu (or Jongno District) mostly. You can say that you have been to South Korea if you have seen central Seoul or Jongro District’s sights and its vibrancy. 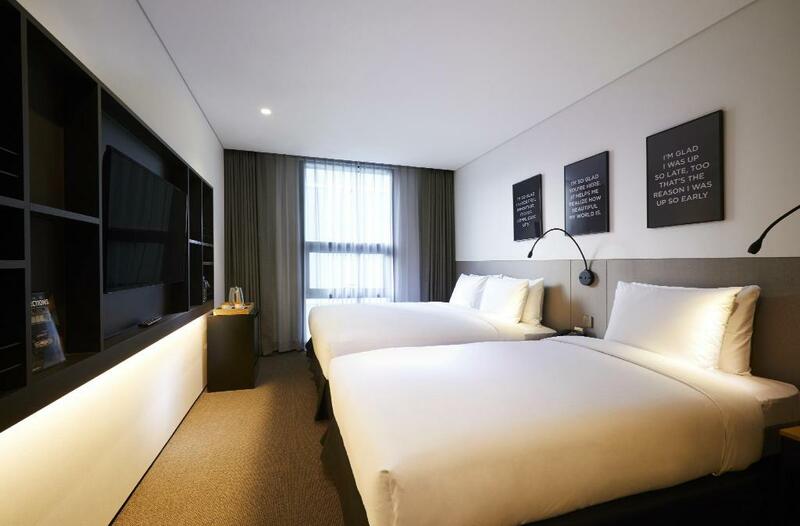 In Jongno (or Jongro), you can find various hotels and accommodations types. It is also where the world famous Korean chaebols (conglomerates) offices can be found. Finance and business buildings are also just intermingling with other structures, tourism sites, and historical artifacts in this district. Of course, you can try all sorts of food at all the restaurants dotting the district. Some staff does not speak English, but you be given English menus – you won’t starve! 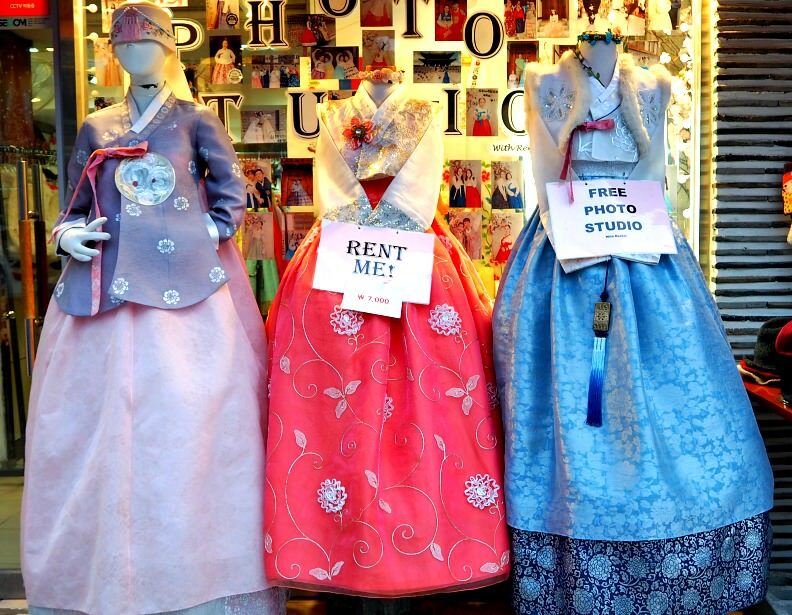 Right beside Gyeongbokgung Palace, you will find Samcheongdong Street where opulent and artistic-minded people flock. You can see here street arts, traditional Korean restaurant (serving Sujebi), iced red-bean dessert, waffles, cakes and sweets, fusion drinks and coffee, boutique shops and such. Wealthy people also live in this area. Bukchon Hanok is a village with ‘Hanok’ houses (traditional Korean thatch-roofed houses) with a view overlooking metropolitan Seoul. Many years back, I haven’t seen women and young girls (especially visitors) wearing the traditional colorful Korean dresses. Surprisingly nowadays, due to the Hallyu (the effects of Korean culture or ‘wave’ to many Asian and other countries). I can see girls and ladies, at times men, wearing the traditional clothes (hanbok) even during the hot Korean summer. They look gorgeous by the way! Kilangsa (temple) is another place with a serene environment worth exploring. It is located just up north and accessible by bus (few stops). The temple used to be an unsightly brothel but turned into a holy and tranquil Buddhist temple. Daehangno District is where most younger generations come to enjoy lots of public and private facilities. Educational institutions are located around this area. So, you'll see mostly students in the streets and inside coffee shops either relaxing or studying. Please, find the hotels near Hyehwa Subway Station and close to Daehangno Street. Dongdaemun (means the ‘big east gate’) is where people buy by the bundles of products, such as clothes. The wholesalers open at night, hence making available to night buyers including foreign visitors. It is where the former Dongdaemun Stadium was built. Now, the stadium was transformed into a sci-fi-looking structure – the Dongdaemun Design Plaza. Inside the plaza, you can enjoy various products and art exhibitions. 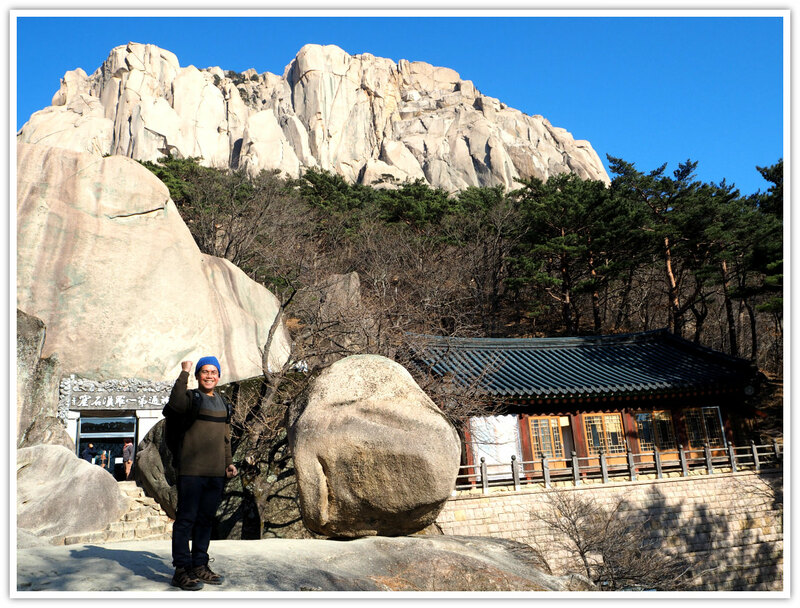 Gangbuk Area is famous for the young and vibrant university students’ actions, cultural expressions, and has some rejuvenating green parks. The area includes Mapo District, Sodaemun District, Jung-gu, Yongsan District, Seongdong District, and Gwangjin District. Yes, you will undoubtedly discover various cultural, education, as well as relaxing environmental settings. 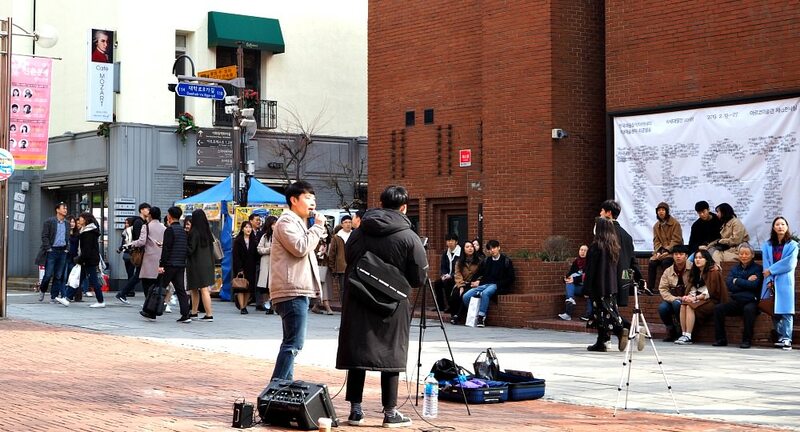 For example, in Hongdae, the most popular destination among youngsters, you will find very enthusiastic visitors exploring the discotheques, clubs, restaurants, cafes, and noraebang (karaoke in Japanese). It is in Hongdae that you can enjoy shopping ‘non-luxurious’ products as they are catered to the university students’ affordability. During the evening time, you can enjoy the vibrant street performances including music, magic, and another form of arts by newbies and dreamers. Itaewon is another place especially when you want some foreign products, such as clothing, international food, sweets, cars, among others. Itaewon is home to expats and immigrants, and it is where the US military camp is located. There are many embassies and consuls with offices there and around the area. Now, if you are getting excited, you can book your Seoul Korea hotel located in this area. Mind the crowd when you go there. Visitors come in groups or by travel buses. Yes, this area is one of the main thoroughfares and walkways among foreign visitors. In Jung-gu area, you can either walk to the top and see closeup the famous and towering Seoul Tower (and Restaurant). Alternatively, take the cable car from the foot of the mountain to the top. Both ways are amazing to experience. Yes, as I introduced above, you can enjoy a leisurely walk to the top of Namsan Tower (as it is popularly known). Along the way, you can observe old Seoul walls, fresh and green forested areas. Also, you’ll get a great view of Seoul. When on top of Namsan (mountain), you will enjoy the expansive panorama of Seoul and the skyline of the surrounding districts. By the tower, you can enjoy the varied restaurant offers, buy and lock a lover’s padlock to the chain, do selfies for your Instagram or Facebook page. Myeongdong Area is the most accessible and easiest place to see. But be aware that it could be very crowded. It is where most visitors shop ‘cheap’ products, eat street foods, sing at noraebangs (karaoke in Japanese), watch movies, drink coffee or eat ice cream. As an old central area, Myeongdong is very historical. Among some interesting sites, you can head to the Myeongdong Cathedral. This church is over a century old building that survived the devastating Korean War in the 50s. Namdaemun Market and Myeongdong are two popular shopping area in Seoul area. Yes, besides Myeongdong, Namdaemun could be your next destination. It is loaded with cheap products including souvenirs you can buy for your family and friends back home. You can purchase anything from Namdaemun any time you prefer. Many stores are open 24/7. While in the area, you should also check out the ‘big gate’ of Namdaemun. Literally, “namdaemun” means ‘southern big gate/entrance’ in the Korean language. It is renovated but built where the original gate was built. They are all near central Seoul so you don’t need to travel far. 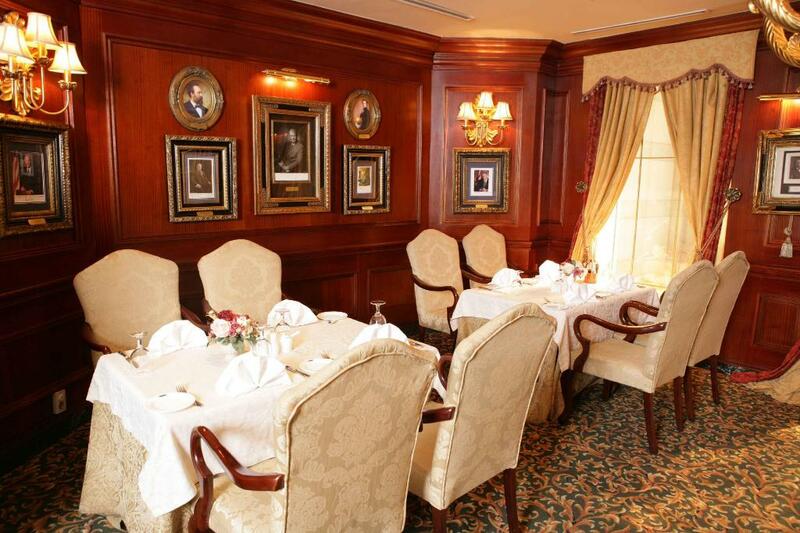 Of course, catering service is available for all activities you want to hold in most hotels. No need to worry about when traveling to Seoul. South Korea is one of the most countries that have various and systematic transportation facilities. You have choices of transports when moving from one place to another – not just one, literally. It is one of the signs of the progressive and vibrant nation. Limousine Bus is a comfortable transport for you if you want to head straight to your hotel. This bus goes directly to the area where you will be staying at (non-stop). Above all, you are lucky if your hotel has this inclusion service. However, if you take the non-hotel Limousine Bus, it is also a good choice. When you are ready to leave Incheon International Airport with your belongings, go to the services area – find the reception tables that offer phone data service, hotels, etc. It is there that you can get the information about Limousine Buses. Better yet, do your research before coming to Korea. So, ask for your directions at the desk, and they will tell you which buses that travel to your destination. What I usually do is find the bus routes on the bus guide map located inside the arrival area (near the exit doors at the transportation waiting area). You can find bus routes guides for both the ordinary and limousine buses. Simply follow the instructions, such as the waiting locations (e.g. A, B, C stops). Limousine buses make only a few stops, and they go directly to their destinations, while the ordinary ones make more stops. As I live in the Incheon area, I just take either the ordinary bus (aircon) or the All Stop Train. This train is a convenient and cheap transport to travel to Seoul Station, Gimpo Airport, and Incheon International Airport. From Seoul Station transfer to another line to your destination. It takes 53 minutes from Incheon Airport to Seoul Station. The Airport Railroad Express Train (AREX) is faster than the All Stop Train. It only takes 43 minutes from Incheon Airport to Seoul Station nonstop. 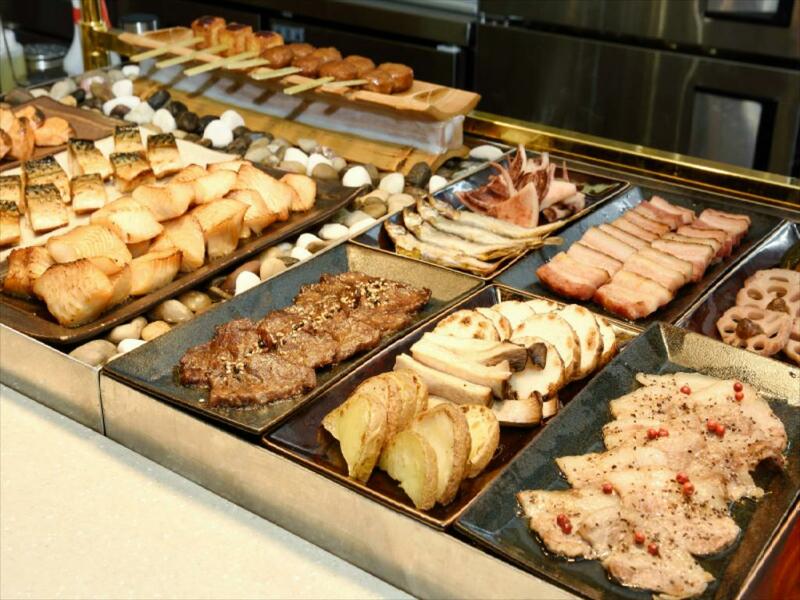 It is located in the second-floor basement of Seoul Station and Incheon International Airport. There are many kinds of taxis available: regular, deluxe, international, jumbo, mini. They all have various rates as well. You can inquire from the airport’s desk for more details. You can take the Seoul Subway Line 5 and 9 from Gimpo Airport to Southern Seoul and Gangnam area. Also, the AREX Line serves from Gimpo to Seoul Station, which takes 20 minutes. Although serving international flights, Gimpo only serves flights for closer destinations such as Japan. Basically, it serves domestic flights including Jeju Island and other major cities of the country, such as Busan, Gwangju, and others. So, if you are flying domestically make sure you go there and not to Incheon Airport. Take a taxi, bus, or a subway that will bring you to your destination or hotel. When transferring from AREX or All Stop Train, follow the signs on the underground floor. You do not have to go up to the ground level of the station to transfer to a subway line. Subway lines are now recently linked underground with the AREX and All Stop Train. If you are meditating on going to South Korea, you will find it helpful to check out the page “Getting to South Korea.” It provides guides to most airlines that operate flights to South Korea from various points of departure around the world. I hope you find this page useful for your Seoul South Korea hotels research. If it does, then please share this with your friends or family.